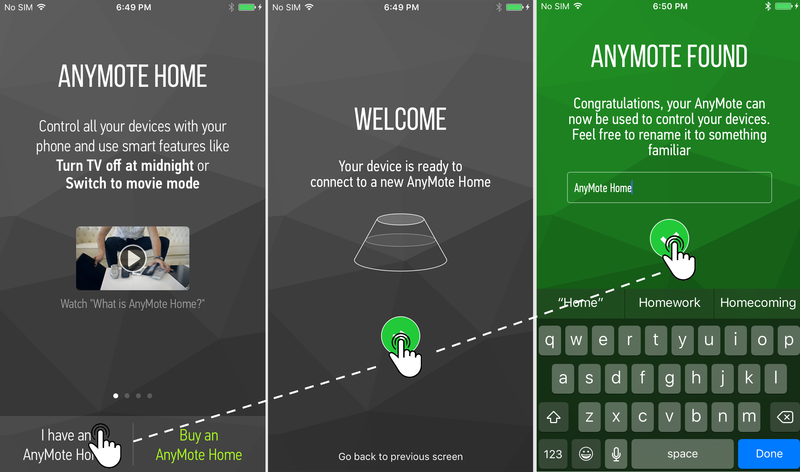 You have your new AnyMote Home, and you now want to set it up. The first step is to connect it to your phone or tablet, and since this uses the newest generation Bluetooth 4.0 LE technology, the pairing process isn't the same as you knew it from the old-age speakers or headphones. 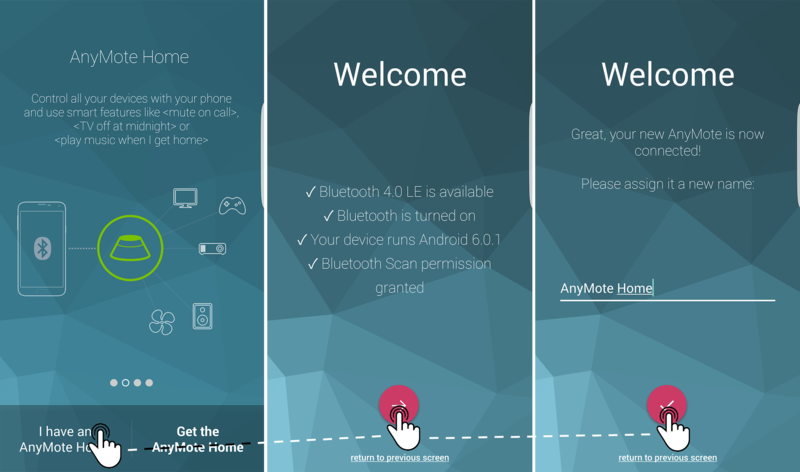 You won't be using the Bluetooth settings of your phone, but instead you'll just be using the AnyMote app. Start by removing the battery cover at the bottom of your AnyMote and then insert your Batteries in the correct position. 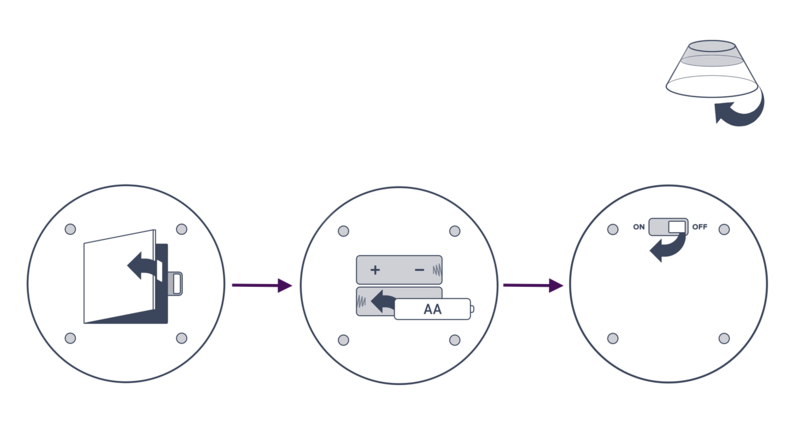 Continue by turning on your AnyMote Home. As soon as your AnyMote is turned on, the "anymote" logo at the top will light up for 60 seconds or until you connect to it. On the first launch of the AnyMote Smart Remote app, you'll see a short presentation slideshow. Tap the I have an AnyMote Home button at the bottom of the screen, and then tap the round button with an arrow on it to start the pairing process. 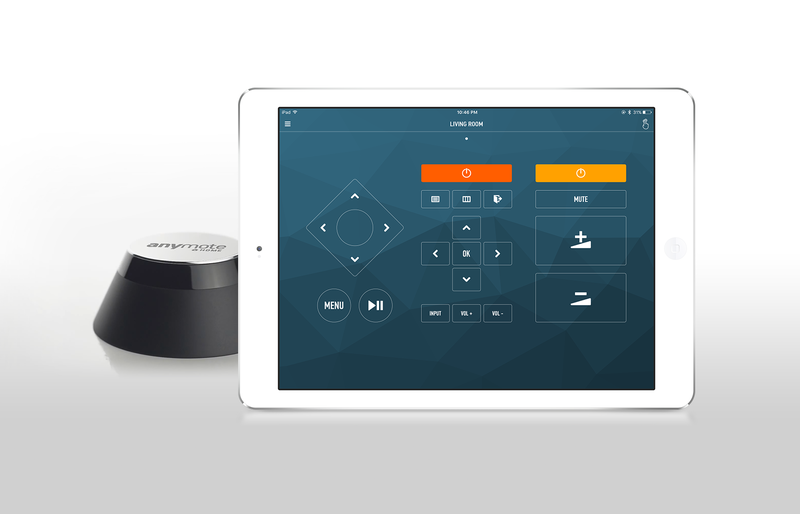 On your phone or tablet, the AnyMote - Smart Remote app defaults to the Internal IR, so you will need to manually add your AnyMote first. 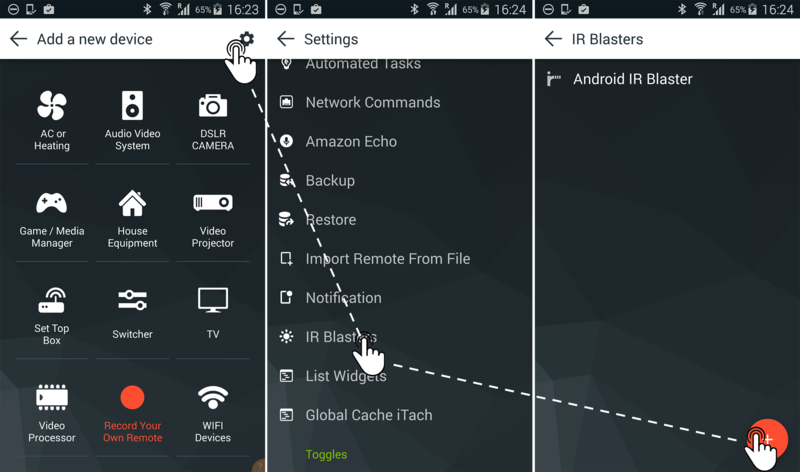 To do that, on the first screen you see (the one with the categories), tap the settings icon in the upper-right side of the screen, then scroll down to the IR BLASTERS option. Tap it, and then tap the red round + (plus) button. Now tap the round button with an arrow on it to start the pairing process. As soon as pairing is complete, you'll have the option to rename your AnyMote to something recognizable.